Since 2010, the Chicago Blackhawks have been the gold standard in the National Hockey League as their three Stanley Cup Championships over that period are more than any other team in the league. And even in those years where the Blackhawks have been unable to win, they’ve still been one of the top teams in the NHL. This season was no different for Chicago as they would finish with the best record in the Western Conference which ensured them of having home-ice advantage throughout the first three rounds of the Stanley Cup Playoffs. But that home-ice advantage wouldn’t do the Blackhawks any good as they were swept in the first round by the Nashville Predators which is hands down the biggest shocker so far of the Stanley Cup Playoffs. 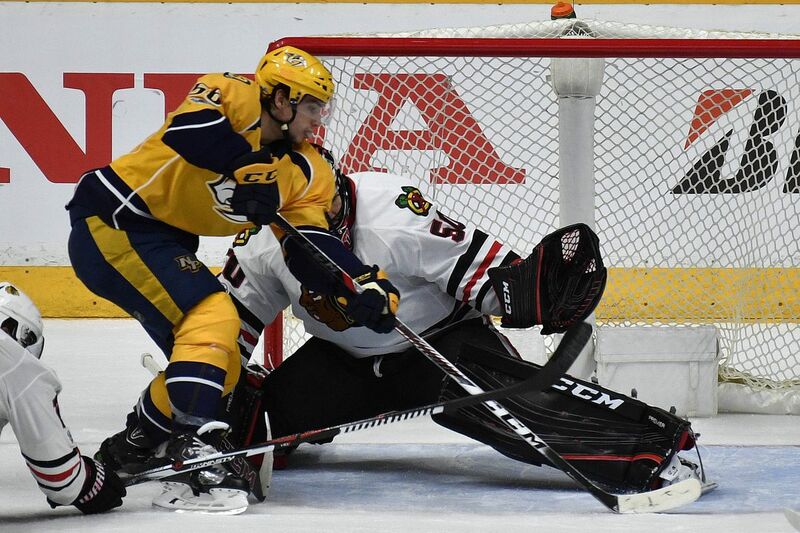 In the Blackhawks playoff series versus the Predators, they were outscored 13-3 which included being shutout in both games at the United Center in Chicago. The combination of center Jonathan Toews and right winger Patrick Kane who’ve been at the forefront of Chicago’s success since 2010 were limited to a pair of goals during the series against Nashville. And aside from a brief lead during Game 3, Chicago was always trailing for the rest of the series. After the Blackhawks secured the top spot in the Western Conference, head coach Joel Quenneville decided to rest his key players which backfired as this team lost its continuity, and more importantly its edge. The Blackhawks would lose their last four regular season games and once you factor in how things went down in the playoffs, they finished the season an eight-game losing streak. Blackhawks vice president/general manager Stan Bowman has vowed to make changes, but that doesn’t mean that this team needs to be totally dissected. The Blackhawks have already parted ways with assistant coach Mike Kitchen and you have to wonder what else that Bowman has in store? The Blackhawks core players such as Toews, Kane, defenseman Duncan Keith and goalie Corey Crawford are all locked up for the next few years and Chicago might have a little bit of wiggle room under the National Hockey League’s salary cap in order to keep this team together. But the biggest thing for the Blackhawks is that they played their worst hockey of the season at the wrong time. During the regular season Chicago was ninth in the NHL in goals scored per game at 2.93, while they were 11th in goals allowed at 2.59. Kane has contributed to a very potent offense as he has combined to score 80 goals over the last two seasons which included him winning the Hart Memorial Trophy last year as the league’s MVP. However Chicago’s power play was 19th in the NHL this season, while their penalty kill was 24th. The Blackhawks penalty kill was solid during the postseason as it was 87.5%, but they only managed to score a pair of power play goals which helped to lead to their demise. It has already been made public knowledge that Quenneville will be returning for his 10th season as the Blackhawks head coach. However after the Blackhawks second consecutive first-round exit from the Stanley Cup Playoffs, this will be a very interesting summer in Chicago, and it has absolutely nothing to do with the Cubs.